Just like our swimming lessons, this Private Swim Camp Week brings the camp to your back yard! Camp will be available Monday through Friday for 3 hour sessions. We offer a morning session from 9:00am – 12:00pm and an afternoon session from 1:00pm – 4:00pm. Our staff comes to your house for the week to provides awesome and organized activities for your family and friends. Our staff includes a private swim instructor, lifeguard to watch the pool, and camp counselor/s. Our Private Swim Camp week is ideal for families with children that do not like to go away to camp during the day. It’s great for children home on an “off week” from their regular camp. 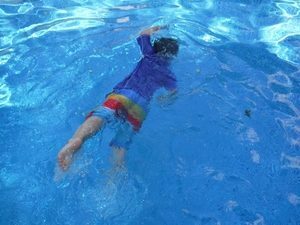 Backyard Private Swim Camp week is also excellent for when friend and family are visiting, and you would like to create a better bonding experience for the children. Let us teach and entertain your children for the best week ever this summer! In order to provide the best experience for each child, there will be a minimum of 3 children per age group required and maximum of 5 children per age group. Pricing and dates for Private Swim Camp Week age groups are listed below. If you would to host our Private Camp Week at your home for friends and family you will receive a 10% discount for 1 child. Private Swim Camp is booked for 1 week at a time. We offer morning and evening sessions throughout the summer. Listed below are the sessions available. Don’t wait to sign up! Space is limited and camp times will book fast! 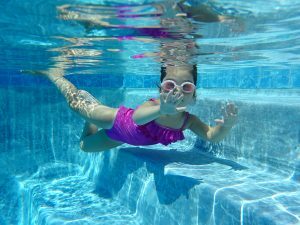 If you have children over the age of 11 years and you are looking for something rewarding and fun for them to do this summer, then we recommend signing them up for our Swim Camp/Jr. Lifeguard course. This 2 week camp will focus on proper stroke performance, endurance, team work, CPR, and lifeguard rescues. Camp is taught and run by American Red Cross Lifeguards. The last day of camp our American Red Cross Lifeguard Instructors will come to assess and test the skill students have learned. After passing this skill tests, students will receive a Jr. Lifeguard certification, First Aid, CPR/AED certification and improved swimming skills. 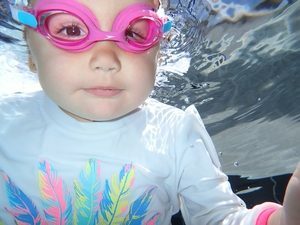 A Jr. Lifeguarding course is a great way to teach your children, discipline, teamwork, and the value of helping others. 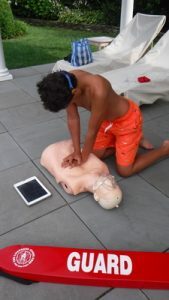 These courses will also prepare students for a full Lifeguarding course when they reach the age of 16.